Ada Kamara studied fashion in Paris. In 2003 the brand was born and established in Greece under her name. Her curiosity for Asian culture drove her paths to India as an istant karma. India had become since, both her spiritual place and her source of inspiration. She started working with fine textures, mostly silk and later on she added materials as wood, linen and natural fabrics. The philosophy of the brand envisualizes a summer with no end, a woman of elegance, of simplicity, a dominant femininity through simple lines and colorful prints. Intense prints, exquisite shapes and natural textures are the signature of Ada Kamara’s resort brand. Inspired by Cycladic minimalism, blended with colorful elements of Indian culture, each single piece travels us through romance and spirituality to the endless summer. Natural tones amplified with bold patterns, daring and easy, that epitomize the woman of the world. Thoughtfully hand picked indian fabrics and traditonal elements complementing Mykonian simplicity. Designed to be bold, elegant and effortless, Ada Kamara’s approach is in every way personal. 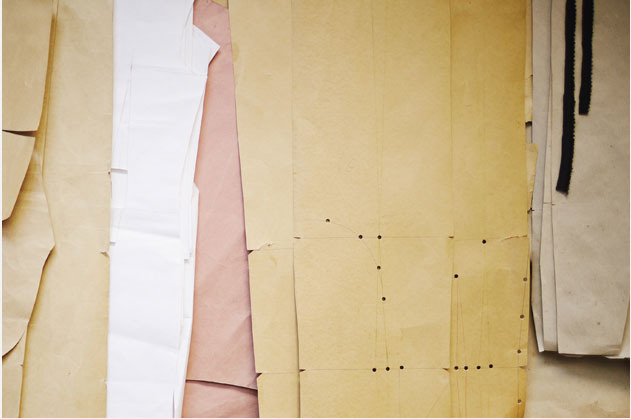 Textures are carefully selected and handcrafted by locals artisans with passion and precision. Colorful materials, exotic prints and natural lines travelling their own long way from the lands of Namaste to the island of the winds. Ada Kamara’s flagship store is located right in heart of Mykonian island. A harmonious mix of cycladic architecture and greek hospitality fusioned with eastern boldness. A space more like a meeting point where the collection is finally unveiled on its natural environment.